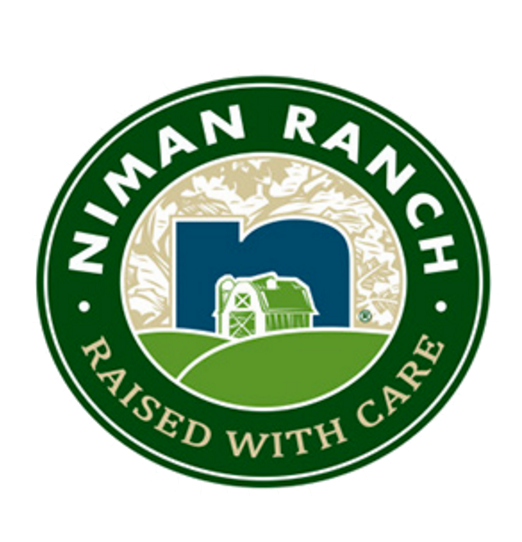 Niman Ranch | Favorite Foods, Inc.
Niman Ranch and its network of U.S. family farmers and ranchers raise livestock, humanely and sustainably to deliver the finest tasting meat in the world. We work with one of the largest networks of small, independent U.S. family farmers and ranchers – over 720 and growing. All our animals are raised outdoors or in deeply bedded pens. We lead the industry in sustainable and humane agricultural practices. We offer a complete line of Certified Humane® fresh beef, pork, lamb and a variety of smoked and uncured meats. Niman Ranch began in the early 1970’s on an eleven-acre ranch in a small coastal town just north of San Francisco. The cattle were raised using traditional, humane husbandry methods and given wholesome all-natural feeds. Today, the Niman Ranch network has grown to include over 720 independent farmers and ranchers across America. Niman Ranch started in the early 1970’s on a family-owned cattle ranch in Bolinas, CA, a small coastal town just north of San Francisco. Back then, our cattle were raised with care using traditional, humane methods with wholesome, all-natural feeds – the same way we raise them today. The buzz about our great tasting beef spread quickly and, before long, our burgers and steaks became favorites in local grocery stores and popular San Francisco Bay area restaurants. In 1995, we expanded to raising hogs when we met farmer Paul Willis of Thornton, Iowa. At the time, Paul was busy revitalizing sustainable hog farming methods in the Midwest, moving away from the common industrial practices. His dedication to animal welfare and stewardship of the land closely matched our stringent principles. A partnership was quickly formed, allowing us to proudly offer a variety of proteins. Today our network includes more than 720 family farmers and ranchers throughout the Midwest, Rocky Mountains, Pacific Northwest and Mid-Atlantic. Whether they’re raising hogs, cattle or lamb, they all share our commitment to raising livestock under strict protocols, and the belief that humane and sustainable methods produce the best possible flavor. Our many years in the industry have provided us with the expertise to produce great tasting meat, authentically and consciously, by caring for our animals, the land and our farmers. Our mission is earnest: We raise livestock traditionally, humanely and sustainably to produce the finest tasting meat in the world. We work with the largest network of American family farmers and ranchers – more than 725 and growing. Our humane raising protocols were developed under the guidance of renowned animal welfare expert, Dr. Temple Grandin, and are the strictest in the industry. Our animals are never given antibiotics or added hormones – EVER and are only fed a high-quality, 100% vegetarian diet. We offer a complete line of fresh beef, pork, lamb and a variety of smoked and cured meats.